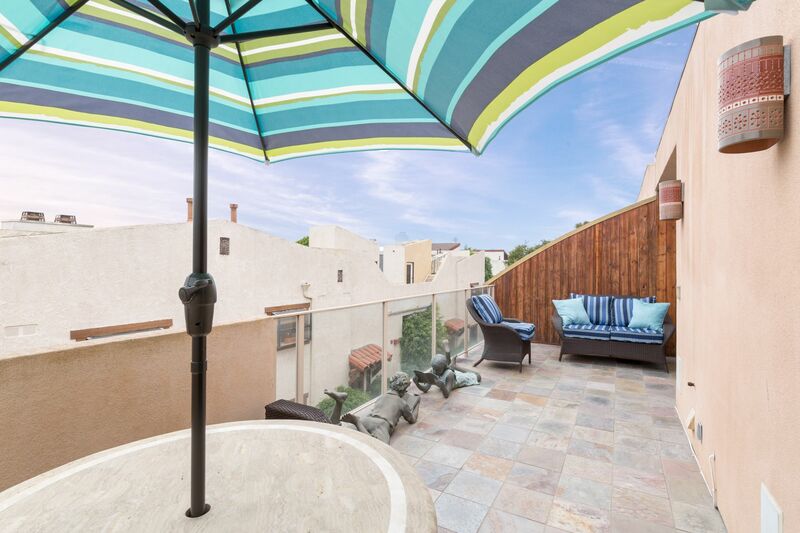 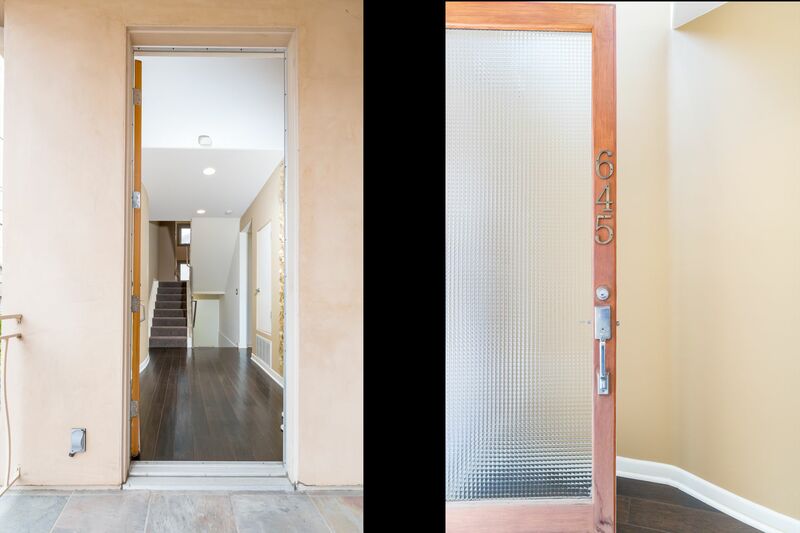 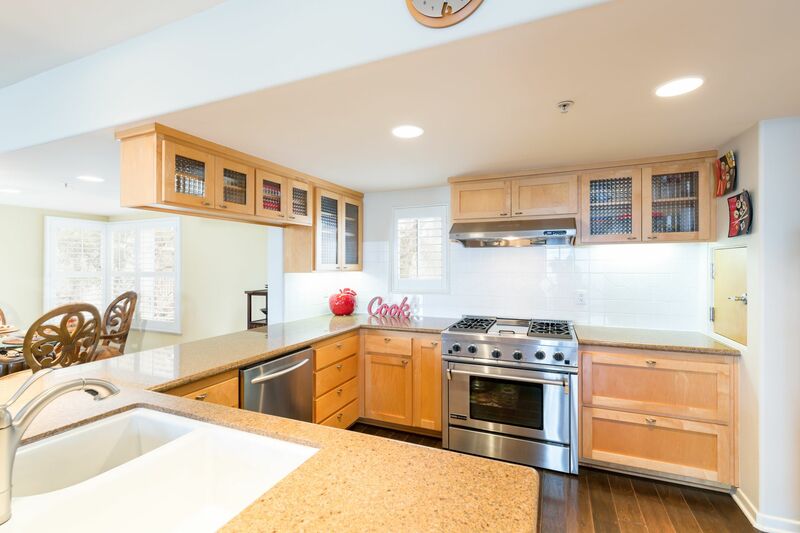 Prepare to be impressed by this stunning, architecturally significant front townhome designed by beloved Pat Killen, full of sunshine & custom finishings. 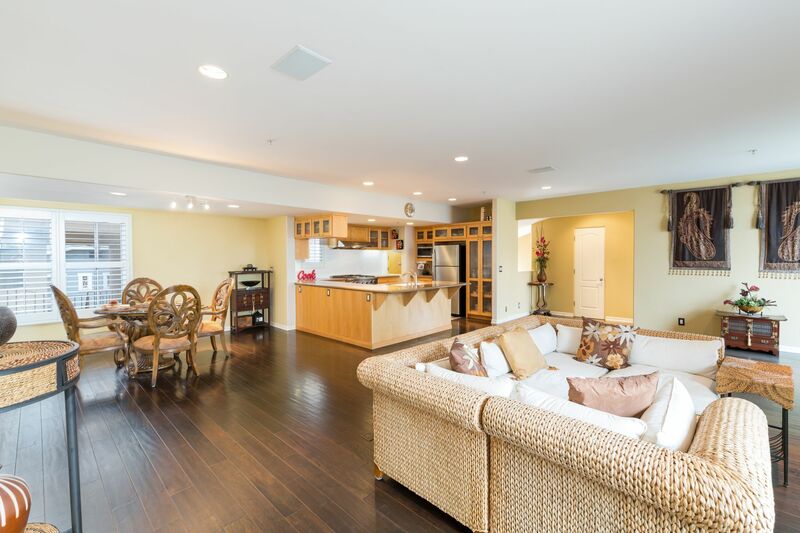 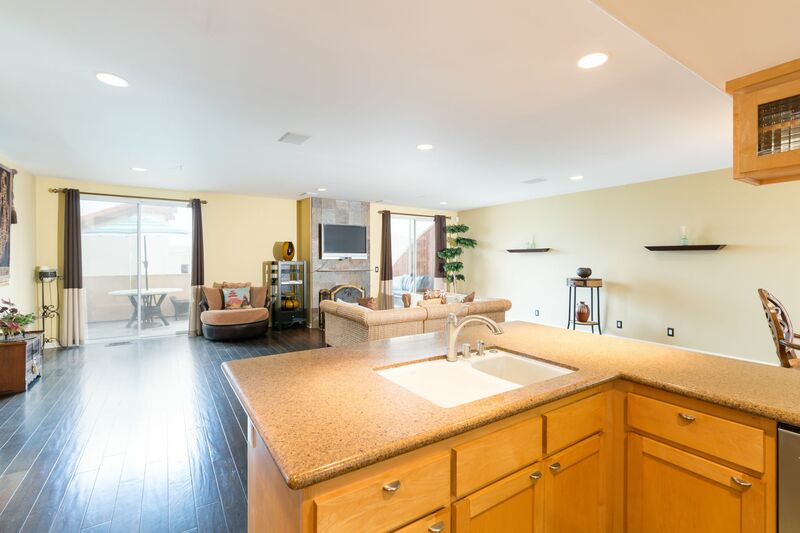 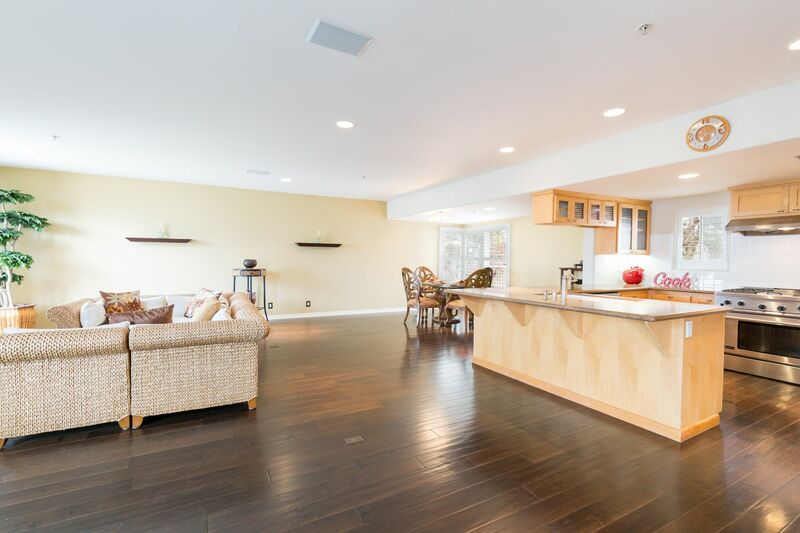 The entire top level features the sophisticated living space, great room style. 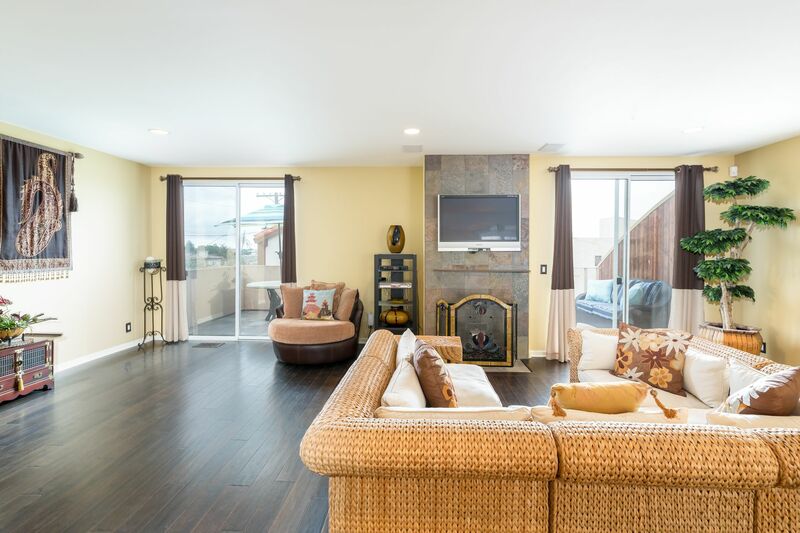 Warmed by a central fireplace, the massive living room opens to a large, west-facing deck for basking in the sunshine, feeling the ocean breeze or enjoying ocean & sunset views. 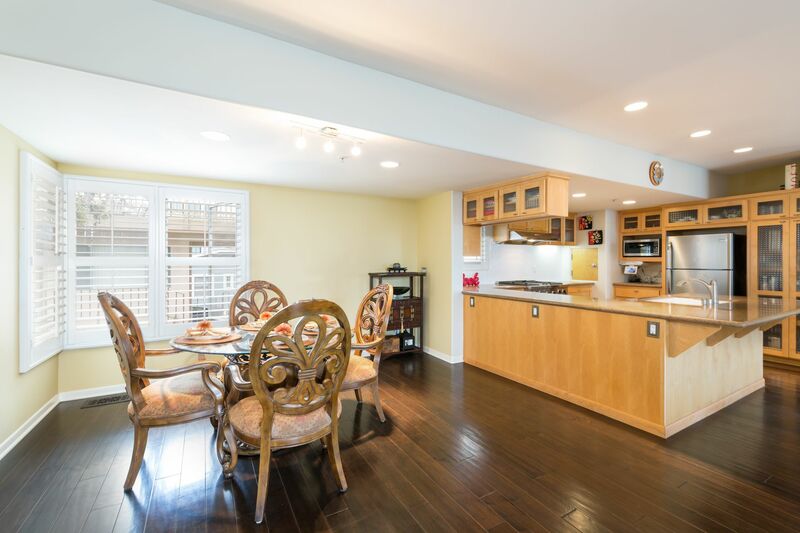 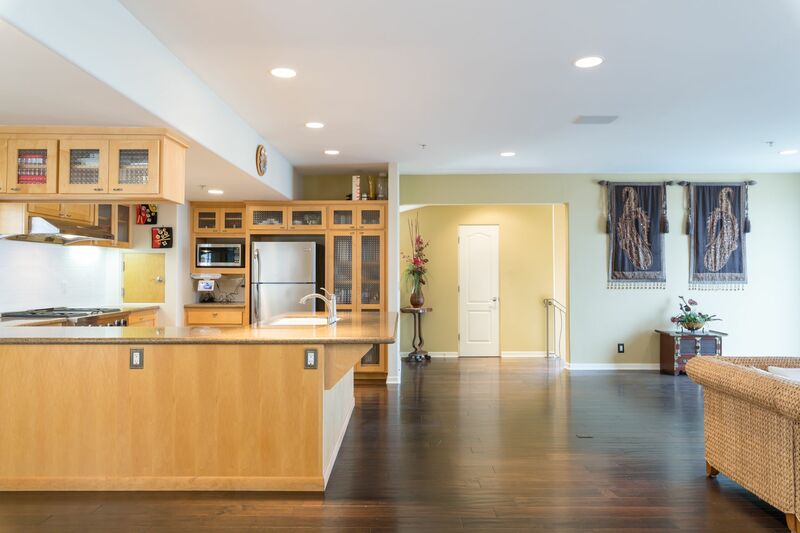 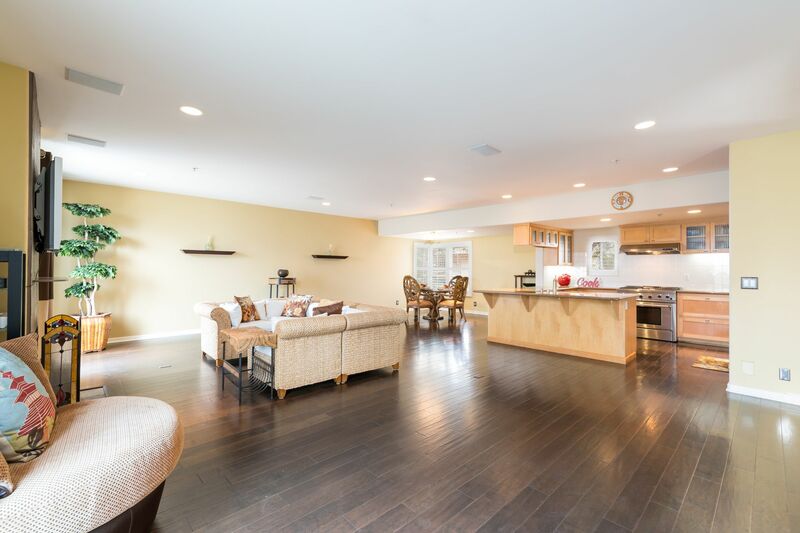 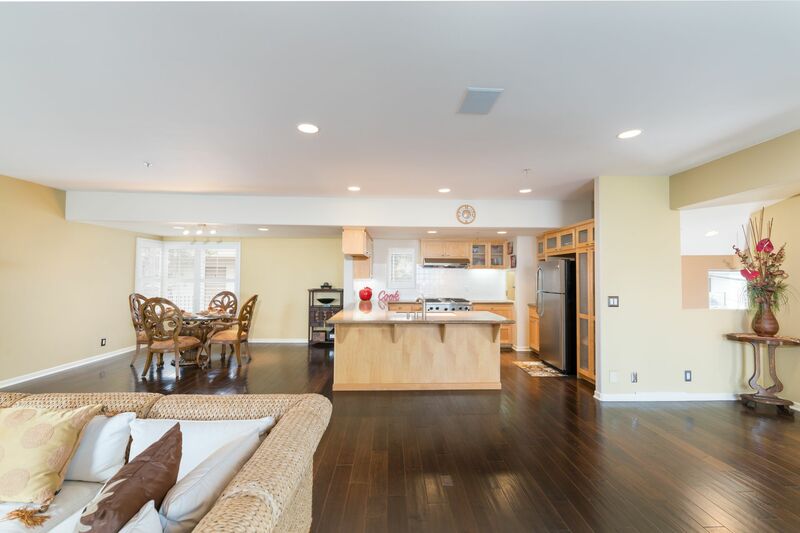 Ideal for entertaining, the living space effortlessly flows to the dining room & gourmet kitchen with casual bar seating. 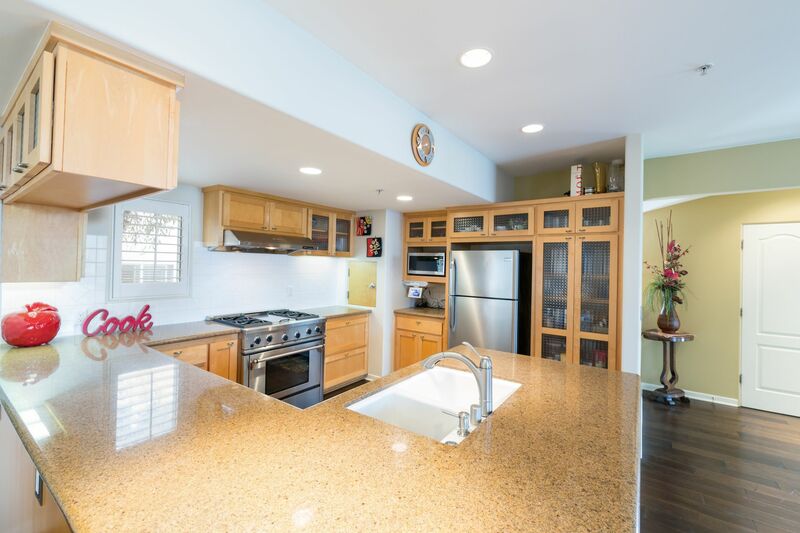 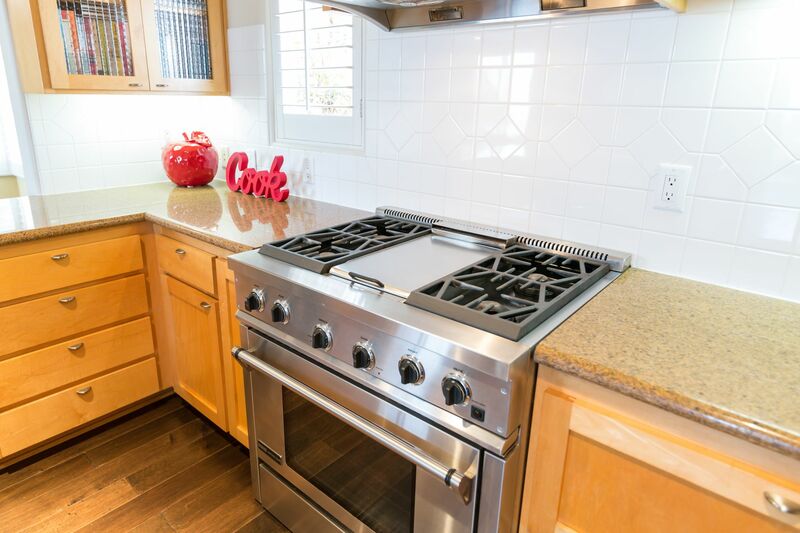 Your inner chef will delight in the gleaming granite countertops, generous cabinetry & stainless steel appliances including refrigerator. 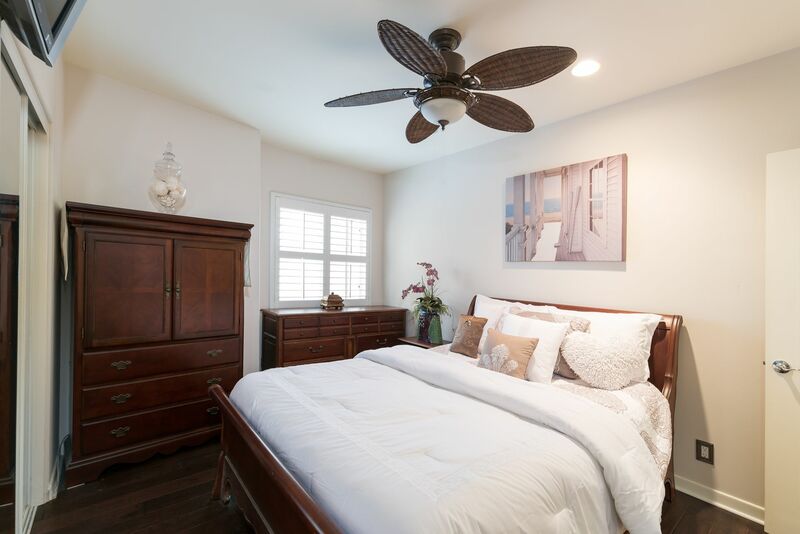 Additional enhancements include elegant dark hardwood flooring, plantation shutters, recessed lighting & designer paint. 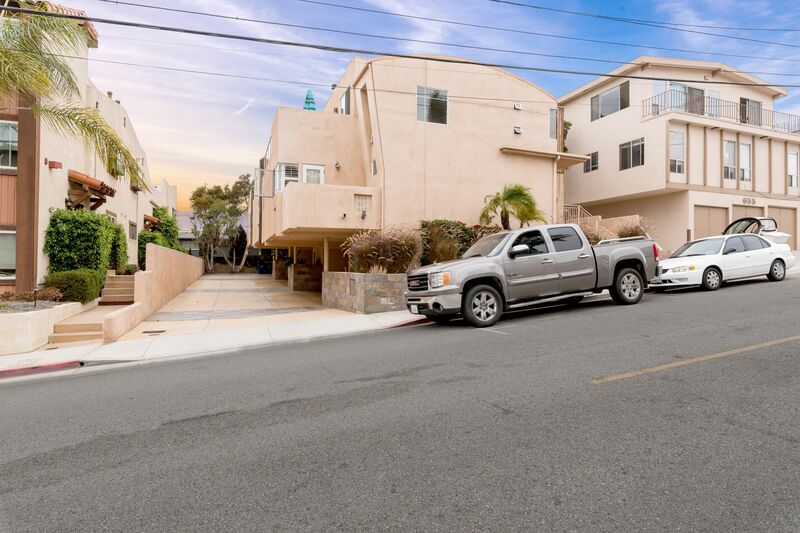 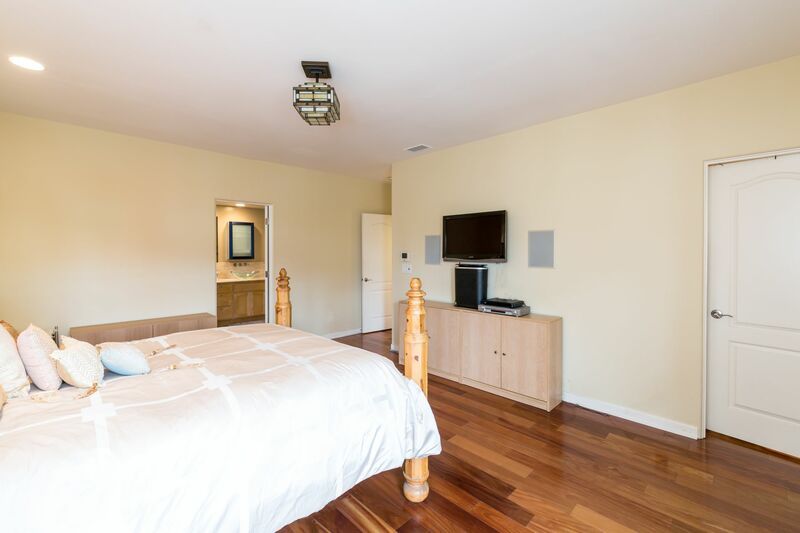 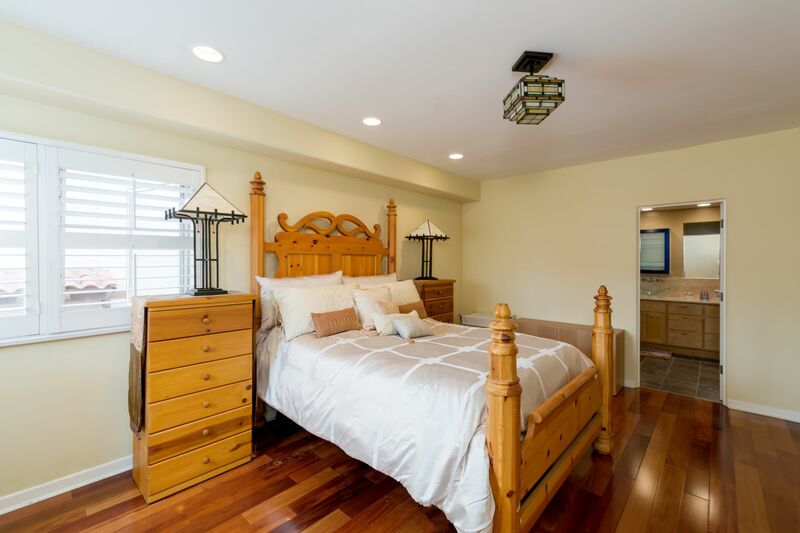 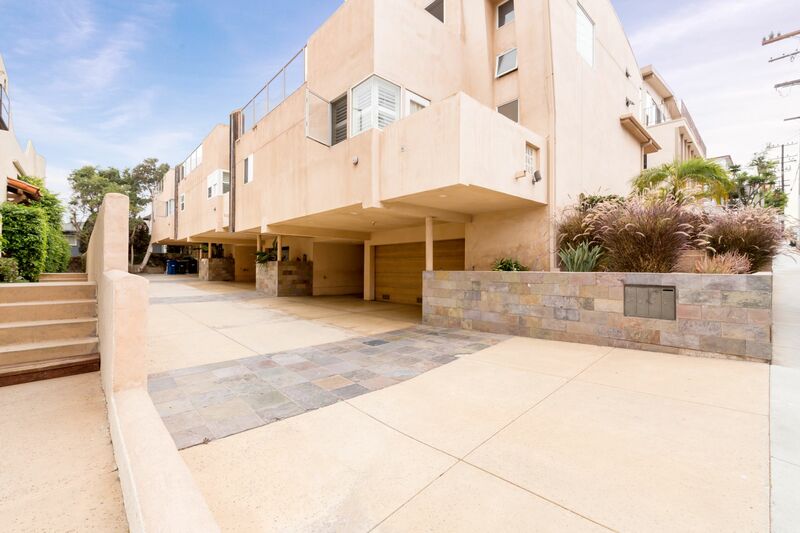 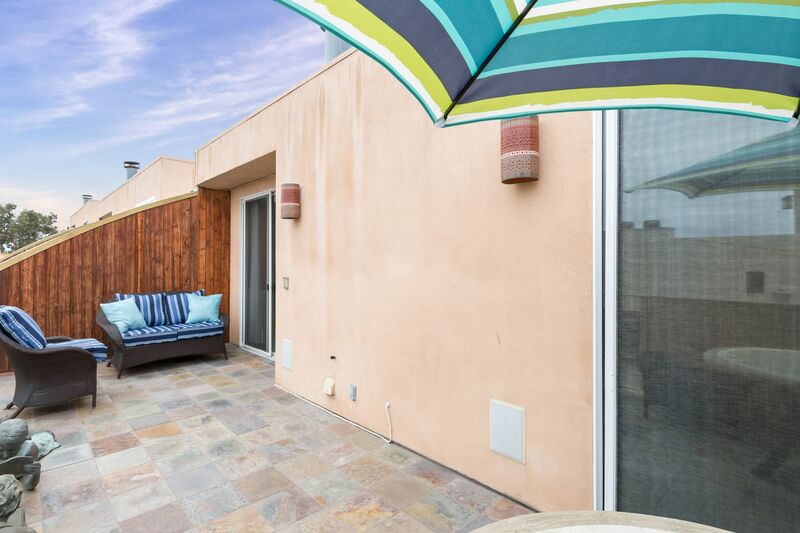 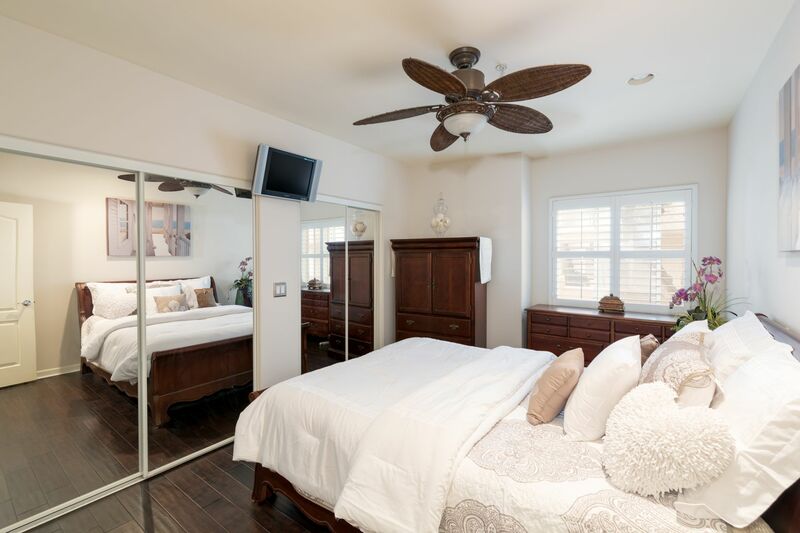 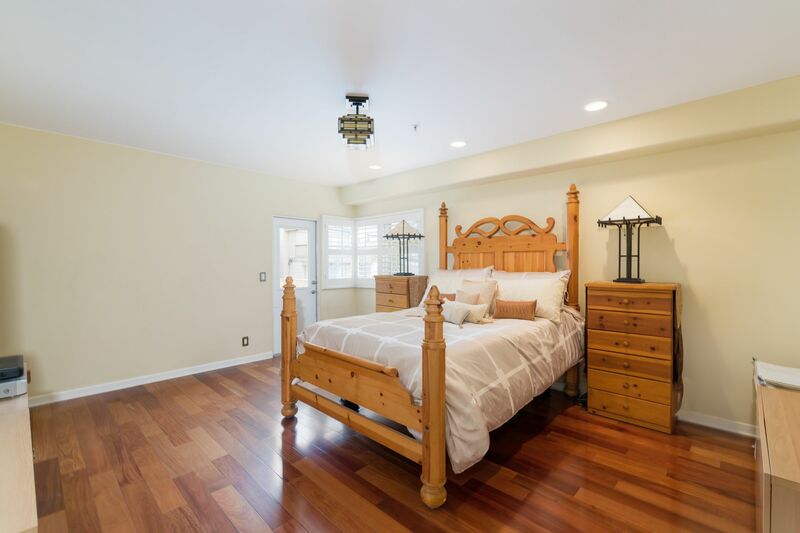 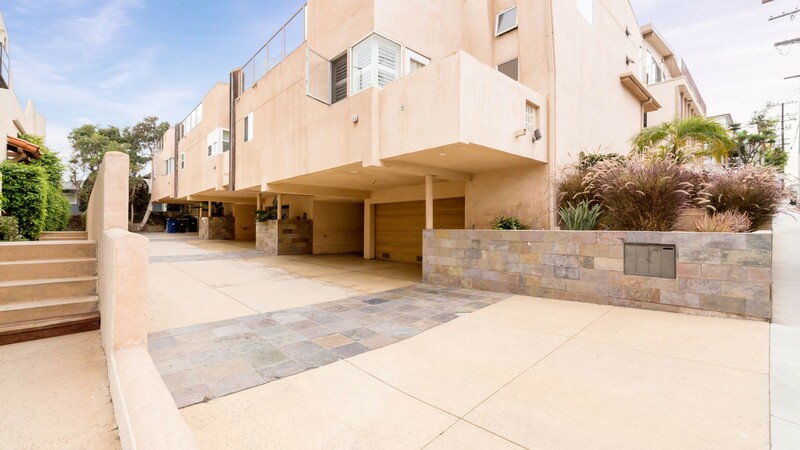 All 3 bedrooms are conveniently located together on the entry level, including the spacious Master suite boasting 2 walk-in closets & a 2nd balcony with an ocean peek. 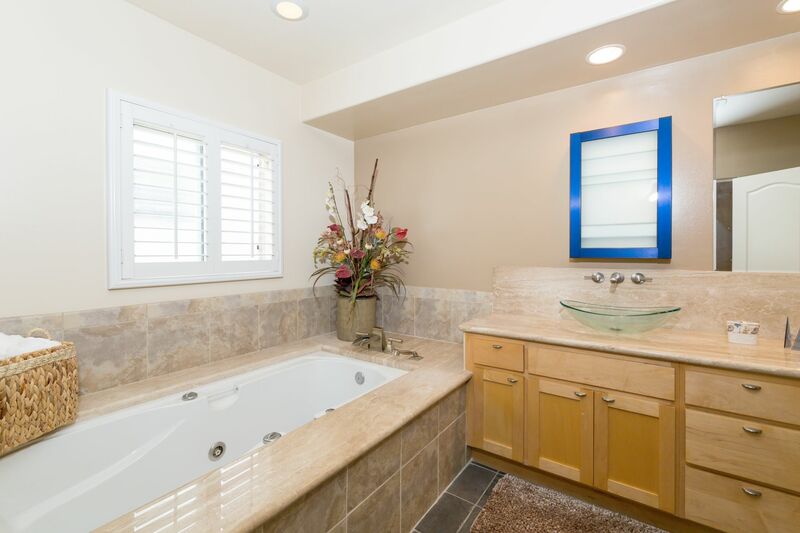 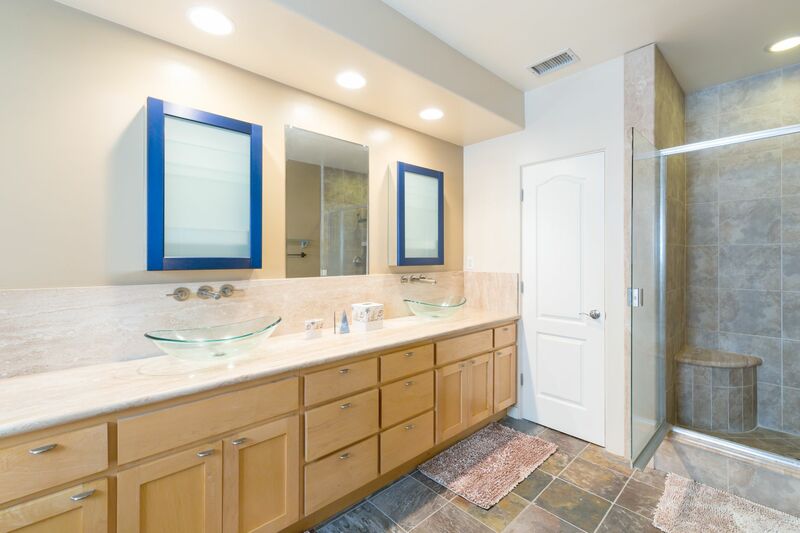 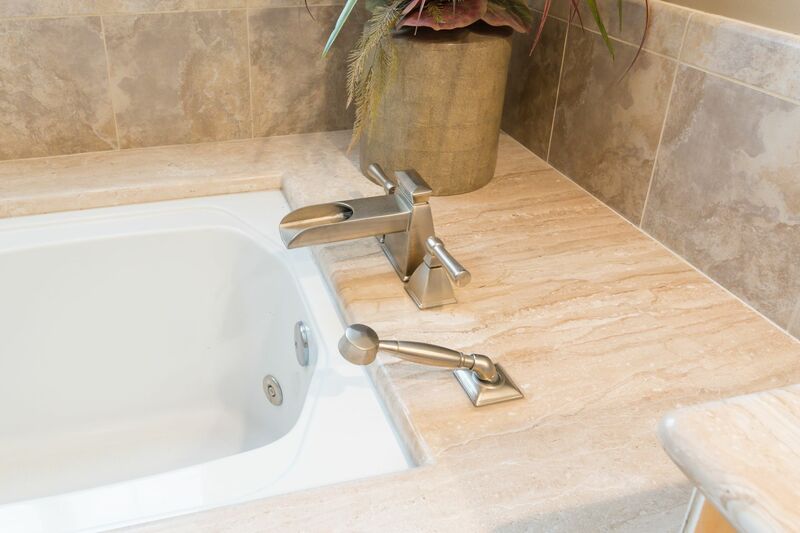 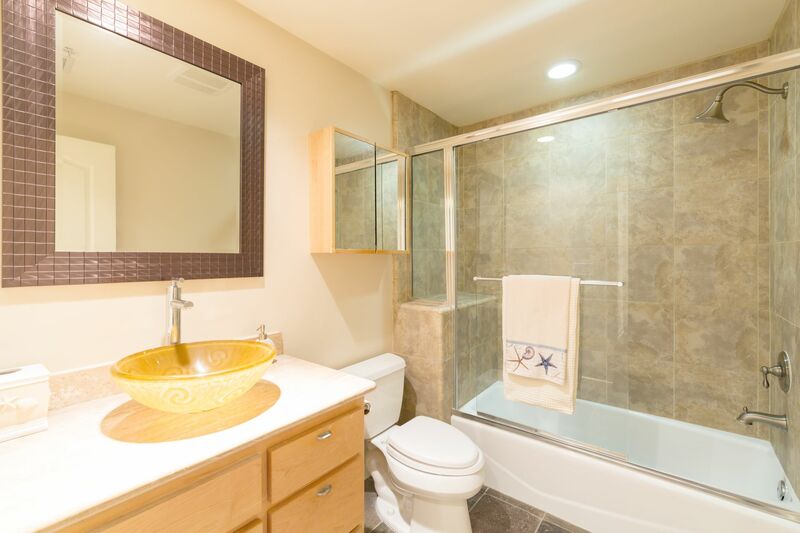 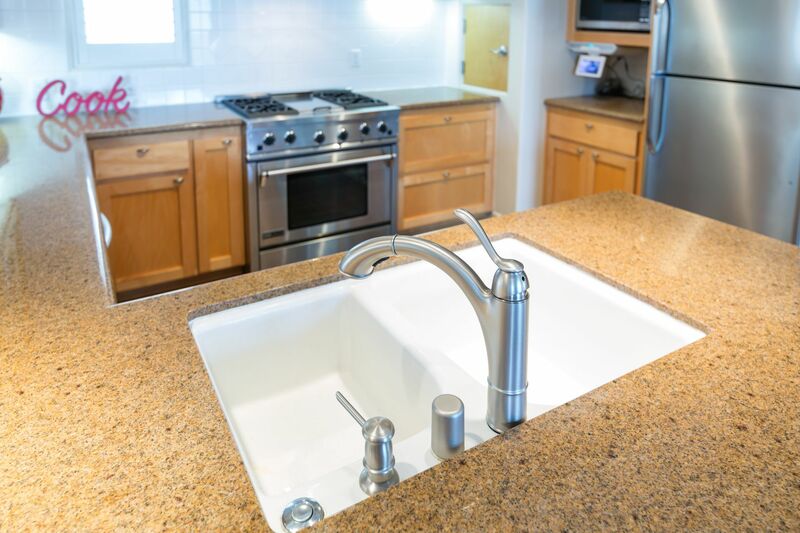 Relax and unwind in the luxurious remodeled Master bathroom with dual vessel sinks on a stone countertop, spa tub, separate shower & water closet. 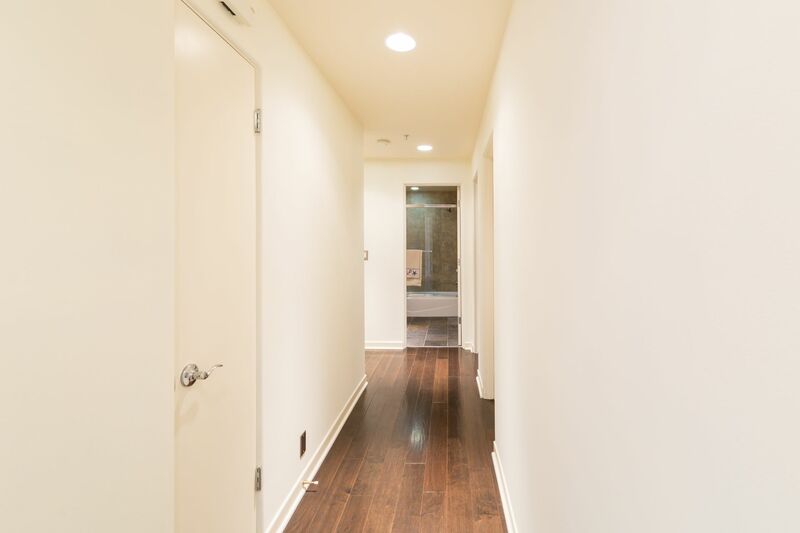 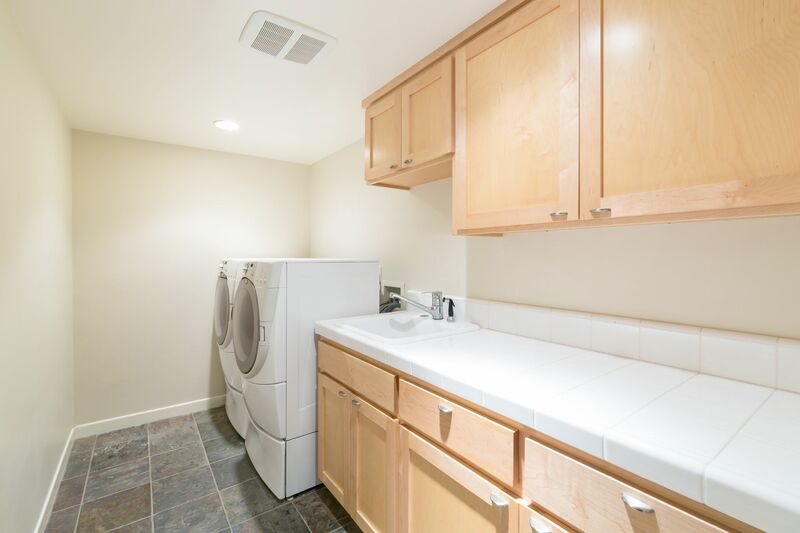 The lower level offers storage under the stairs, a generous laundry room including sink & plentiful cabinetry, plus the attached 2 car garage with 2 additional storage spaces & even an extra covered parking space. 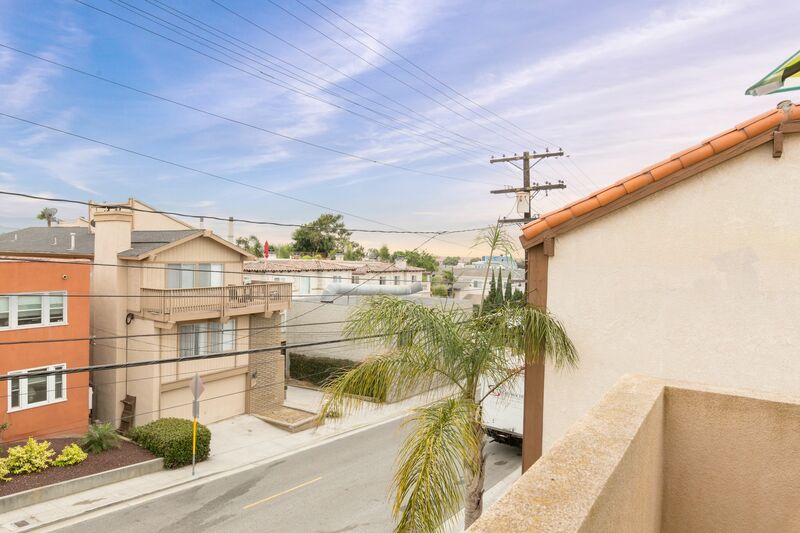 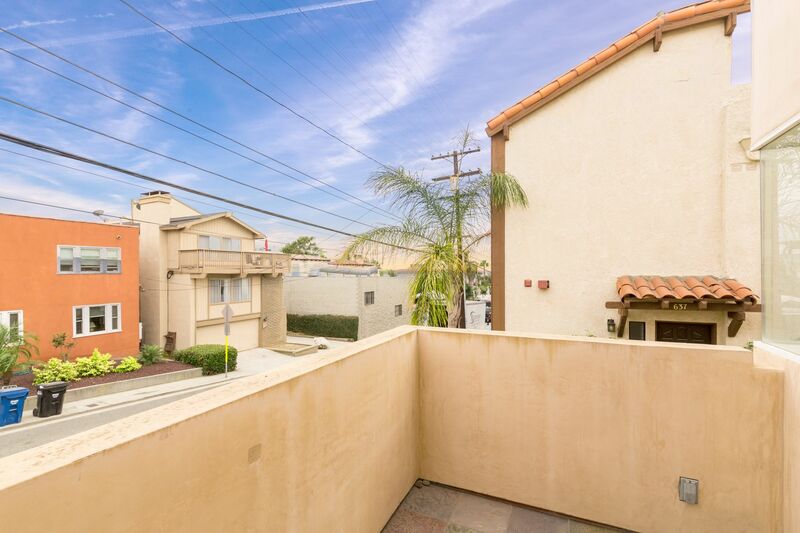 All this is ideally located 1 block from the greenbelt, near Friday farmers' market, shops, restaurants, exciting downtown, award-winning schools & 6 blocks to the beach!